Classic checked dress shirt in navy and green on a white background. 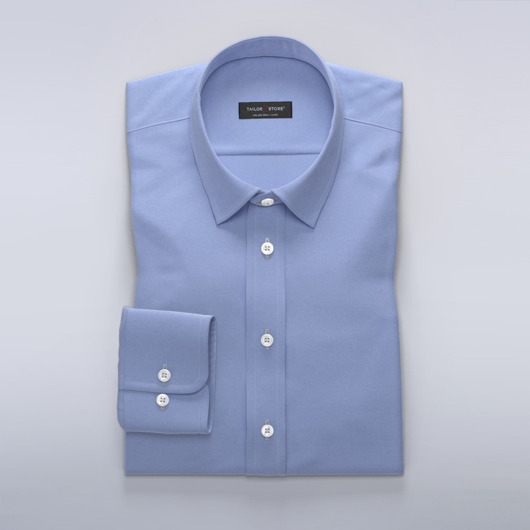 Modern shirt with an on-trend color combination and cut away-extreme collar. Made to your measurements.